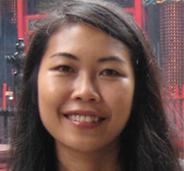 Sasiwan Chingchit is an independent research consultant based in Washington, DC and a non-resident WSD-Handa fellow at Pacific Forum, Center for Strategic and International Studies, Haweii. She used to serve as a lecturer at the Faculty of Political Science, Prince of Songkla University at Pattani, Thailand where she conducted and participated in various researches on conflict resolution, civil society strengthening and democratization. She holds an MA and M.Phil. in political science from Jawaharlal Nehru University, India and a B.A. in international relations from Chulalongkorn University, Thailand. At IDSA, she will be researching on the limit and potential of India-Thailand security and defense cooperation.